Honor View 20 has been released recently, and the device is due to making its way to Indian shores soon. With the device coming soon in your hands, if you were waiting for the device. If we talk about the specifications of the device, then it boasts of Huawei Kirin 980 SoC based on 7nm process architecture. This is the same SoC which has been provided in the Huawei Mate 20 Pro. The Honor View 20 comes with 8GB of RAM, and features 256GB of storage. The device runs on Android 9.0 Pie, and Magic UI 2.0.1 skin runs on top of the same. The View 20 from Honor has a 6.4-inch LCD display, with resolution of 2310×1080 pixels with 91.82% screen to body ratio. A 25 megapixels shooter with f/2.0 aperture is packed at the rear side of the device, ensuring the high quality shots. 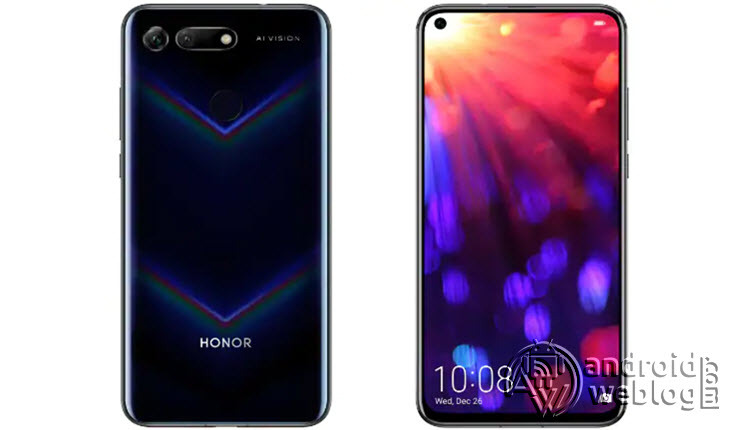 Here we have listed the full collection of the Honor View 20 stock wallpapers. Although, we have below provided link to download wallpapers in zipped/ compress (.zip) format.